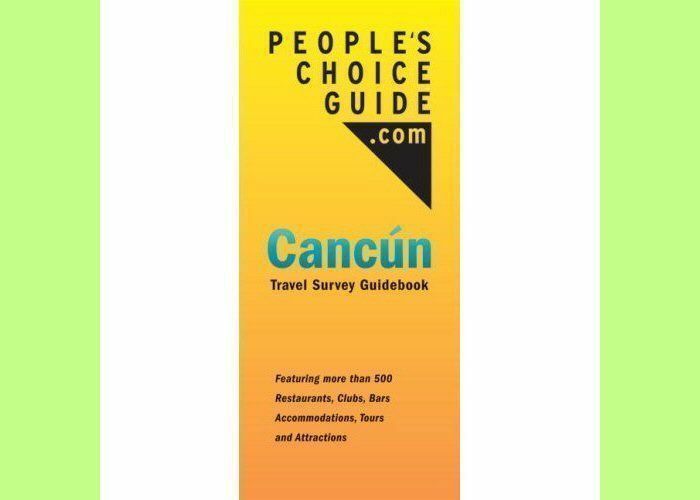 Take 375 pages in a tall, slim volume loaded with reviews of hotels, restaurants, clubs and bars and you're bound to have a comprehensive planning guide for the resort destination of Cancun. It's a good thing too, because Cancun is said to be Mexico's single most visited destination, and with so many choices, it's almost impossible for travelers to know where to book and where to dine. Price can't always be your guide on vacation, especially if you're traveling with kids, who make safety and cleanliness priorities too. As an example, most families visiting Mexico dream about having an authentic Mexican meal, whether it's tacos, burritos, seafood or fresh guacamole. With this guide, you don't have to worry about getting sick at a hygienically unsafe restaurant because frequent traveler Eric Rabinowitz has checked it out first. When writing about La Guadalupana Cantina in the downtown Centro district, he notes, "authentic cantina experience with lots of great local patrons and in an excellent local spot…" Sounds like a place my family would like to try. This guidebook is also useful because Rabinowitz adds his expert insights to the votes and comments of readers and website visitors. This means you have a seasoned critic who knows the region well augmented by helpful tips from travelers who have recently returned and may have discovered something totallly new. And after you purchase the book, you receive a link to the accompanying website where the most recent reviews are posted. Thanks, that is great to know and makes the book that much more useful — in fact, it probably pays for itself! I also recommend talking to others that have been to the place that you are going. They will have great ideas on what to see and what to avoid if you have children.